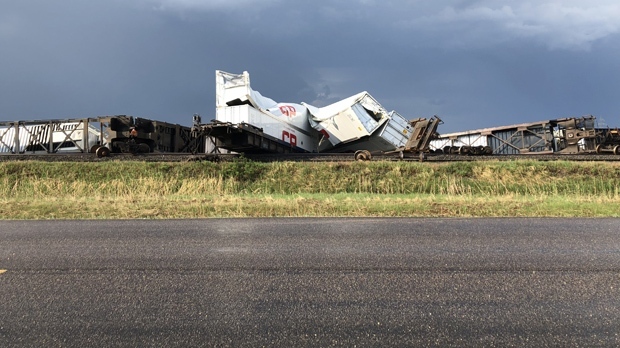 CP police are investigating after approximately 13 train cars derailed Tuesday evening. It happened shortly after 6 p.m. on the CP Rail line near Rosser, RCMP said. A spokesperson for CP Rail said the train was heading eastbound, carrying shipping containers on flatcars. they said no one was injured and there were no environmental concerns. Cleanup efforts were getting underway Tuesday night. 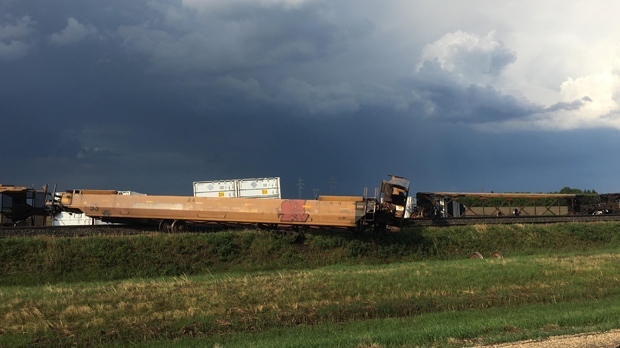 RCMP couldn’t say what caused the derailment, but noted a strong thunderstorm blew through the area at the time. Highway 221, from Road 3E to Highway 322 was closed due to the derailment, as was Highway 334, from Farmer Road to Highway 221.